Let’s bury the lede for a moment, put the blockbusters on the back burner, and talk about what The A.V. 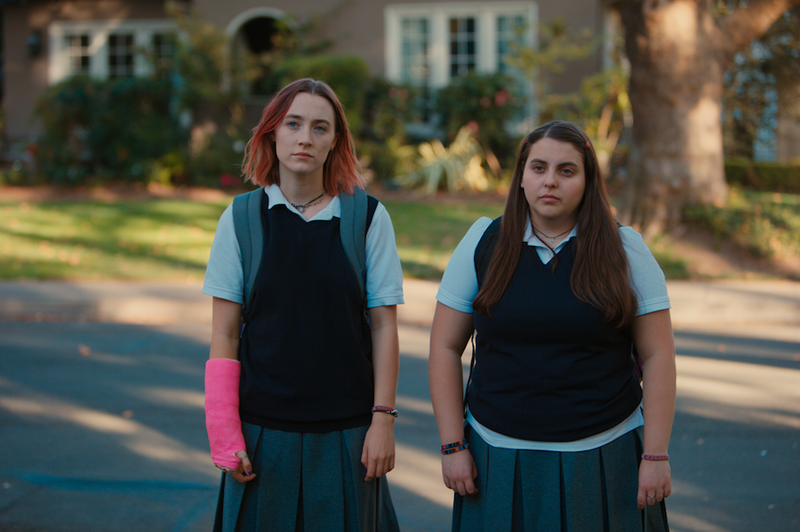 Club considers very exciting news: Lady Bird has broken into America’s box-office top 10, grossing more than a million dollars on just 37 screens. That’s an average of about $33,000 per screen, which basically means that Greta Gerwig’s terrific coming-of-age comedy was selling out screenings all weekend, and will probably continue to find its audience in the weeks to come as it expands into new markets. Lady Bird would have easily own the weekend’s top per-screen average were it not for what another very good movie, Martin McDonagh’s Three Billboards Outside Ebbing, Missouri, made at just four venues: Billboards’ $320,000 debut translates to $80,000 per theater. It was good news almost all around for this weekend’s films, big and small; after a sluggish October, the box office appears to be benefitting from a renewed hunger for the movie-theater experience. Marvel’s latest feather in the gladiatorial helmet, Thor: Ragnarok, repeated at No. 1 with an additional $56.6 million. It now sits at $211 million and counting—more than the other two Thor films made in their entire theatrical runs, which makes sense, given how much better it is than the other two Thor films. At this rate, it will soon pass last year’s Doctor Strange and the superb Captain America: The Winter Soldier to crack Marvel’s top ten. But Ragnarok’s continued dominance didn’t dramatically hurt the business of its new wide-release competition. Those wondering if America has forgiven Mel Gibson for his profane, racist outbursts now have their answer: At $30 million, second-place finisher Daddy’s Home 2 opened a little softer than its predecessor, but has several weeks of holiday-season runway to make up the difference. Despite boasting an almost identical setup—parental protagonists of hit comedy must now contend with their own ill-behaved folks, and right around the yuletide festivities to boot—A Bad Moms Christmas didn’t suffer much; to the contrary, it managed the best hold for a comedy in 2017, losing less than a third of its audience with an $11.5-million second weekend, which put it in fourth place. Sandwiched between these two Christmas-themed sequels, the adult-courting Murder On The Orient Express, featuring fellow scandal-beset movie star Johnny Depp, opened with a healthy $28.2 million.